Spreadsheets are really a great tool. 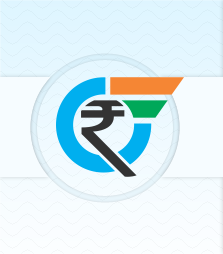 They can help you to create budgets, build a list of pending as well as completed tasks and generate basic reports. They are used in the majority of organizations and always have a specific role in an organization. Yet, there are some limitations of spreadsheets. A developing sales organization cannot run entirely through spreadsheets. Not switching to CRM may lead to loss of organization in terms of limited access to information, lost time, lost sales and ultimately lead to a loss in business. 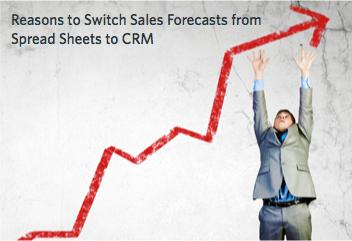 Here, we provide you with 7 reasons why you should you switch your sales forecasts from spreadsheets to CRM tool. The number of leads and inquiries to generate sales and meet the target. Sales trends by requirement, product, market or segment. The volume of previous business and progress done compared to the previous one. The number of customers that are spending more or less on the same product. The number of customers placing orders more frequently. An effective CRM tool when connected to the ERP solutions of your business can help you get a better insight of the purchasing history of customers and leads and improve the quality of your sales forecasts. A spreadsheet shows the static picture of your business. There is a risk of your data being outdated soon unless you update new data manually. The problem gets amplified if the sales team and management team are using different versions of the spreadsheet and, as a result, the efficiency of work suffers. CRM is a dynamic tool and it can reflect changes based on sales on halt and recently captured business through forecast or pipeline analysis. As a sales manager, though you may have trust in reports of your sales team you need to interpret the logical structure of your team's report. You can generate default charts and reports and even understand the motive behind any business decision and thereby acquire a more precise and realistic view of customer's involvement with your company. Spreadsheets do not notify you on any allocated action or upcoming meeting and events. And they don't provide any record of the related actions, emails, calls, meetings, etc. So planning next action for any customer or account will become tedious and will consume more time to track details. CRM will help you to track your past meeting notes and provide future actions and plan marketing and sales forecasts on the basis of current customer information. Spreadsheets are personal while CRM tool is collaborative in nature. The key managers or representatives are sometimes the only ones who have knowledge of the data tables and twists of complicated spreadsheets and how various formulae have been derived or calculated. He needs to provide training to other employees to use the spreadsheet. But what would happen if they leave before preparing any replacement? The vital data on your spreadsheets becomes irrelevant and useless. You can maintain your data in CRM on a centralized database. This will help you extract any important information without the help of the key person. This will empower you to maintain flawless continuity for sales forecasts in your organization. A sales manager cannot get the metrics needed to build and bestride strong sales forecasts. The ratio of leads to business won proposals, quotations etc are included in these metrics. By measuring and tracking metrics, managers can apply a bottom-up or activity based approach, to sales forecasts. So the forecasts are based on activity levels that are targeted, such as the number of proposals and quotes, the number of leads and sales presentations, and historical conversion rates. Using CRM managers will not have to spend hours for preparing a report to gather information of what is going on with a particular project. They will not have to wait for the predictable and current sales data till the month end. They can easily have a glance from the pipeline in CRM. The spreadsheet will still continue to be an important tool in business. CRM helps to focus on relevant customer data and enhance business aspects.